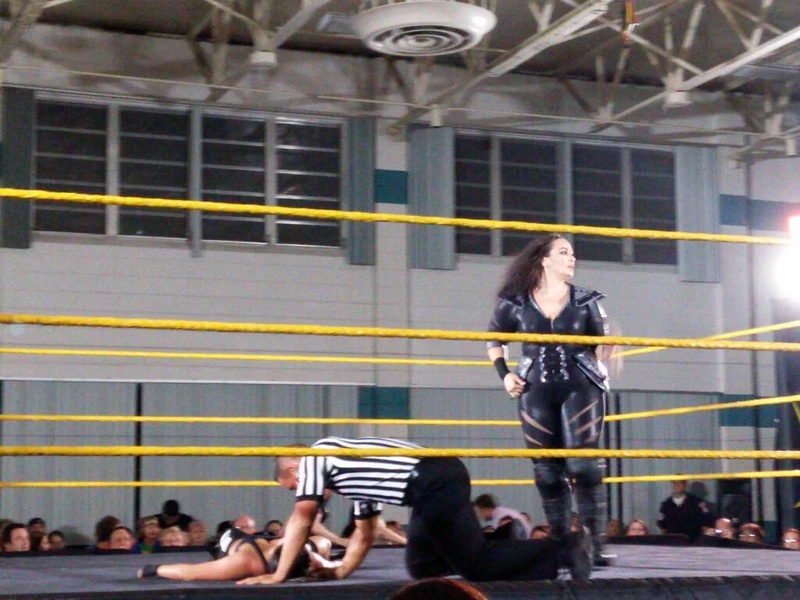 NXT Women’s Champion Bayley makes her way to the ring. 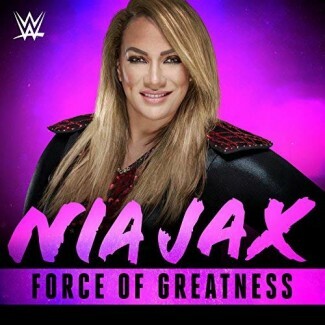 It’s announced, Bayley will defend the Women’s Title against Nia Jax in London. 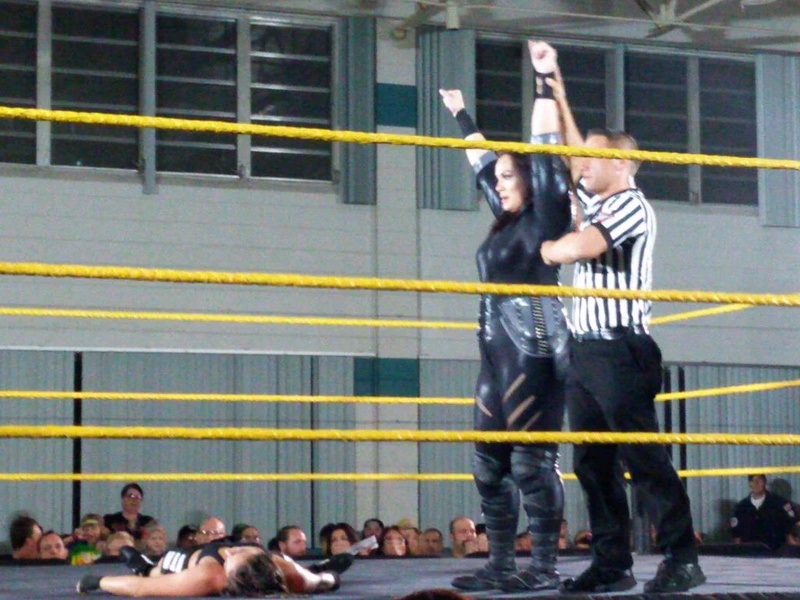 Bayley defeated Peyton Royce via Belly to Bayley. 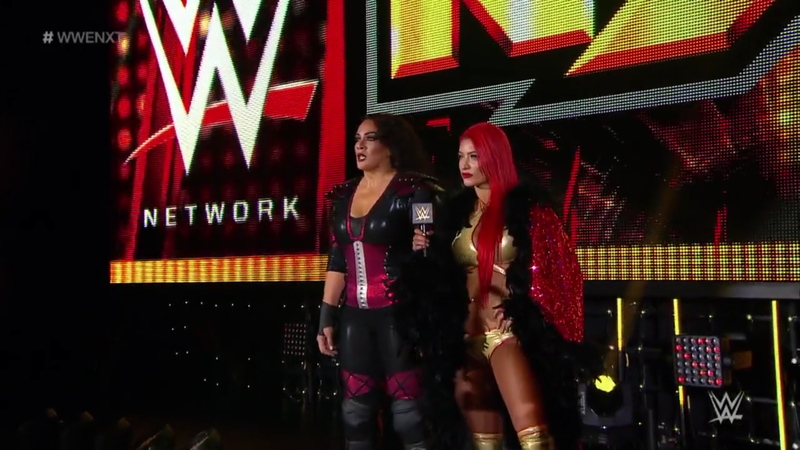 Nia Jax and Eva Marie come out to the ramp. 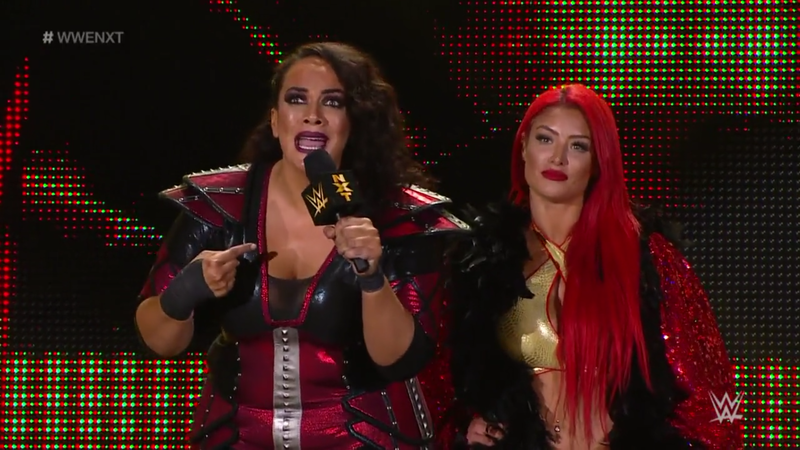 Eva tries to talk and says Bayley escaped with the title two weeks ago. 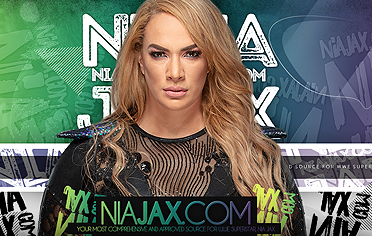 Nia Jax tells Eva you don’t speak for me and continues to tell Bayley that she is lucky. 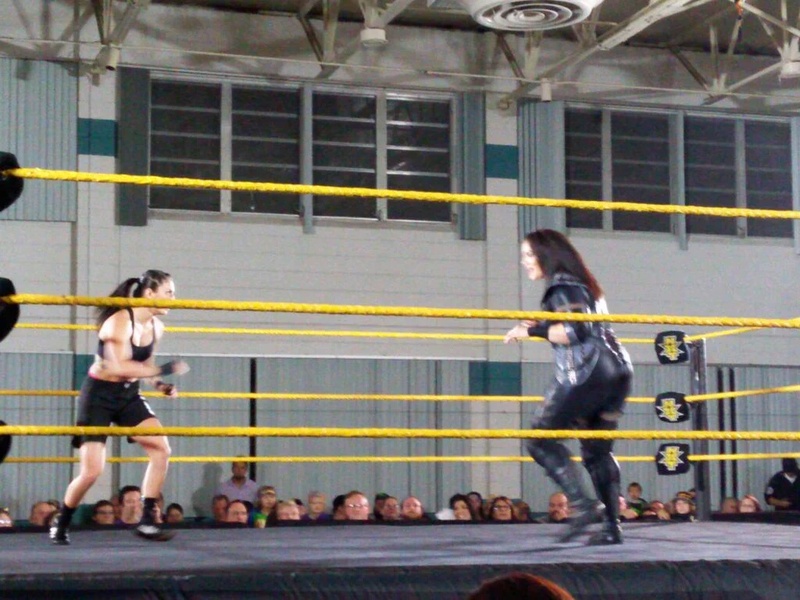 If she had been here sooner, Bayley would’ve never been Women’s Champion. 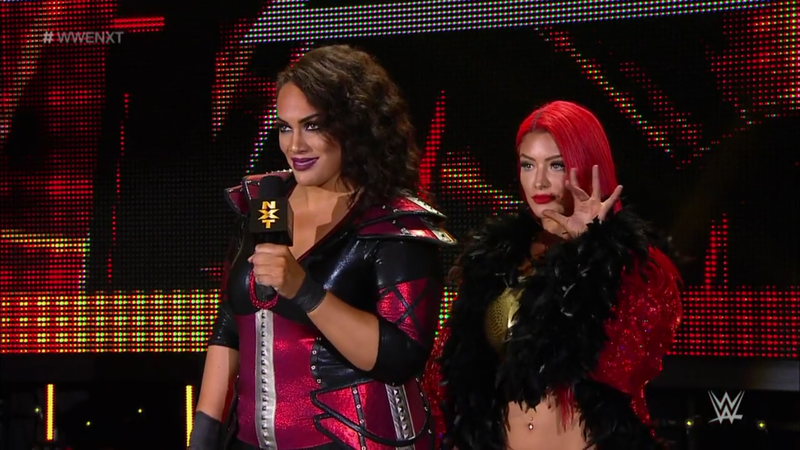 Nia says Bayley is looking at the next NXT Women’s champion right here. Nia then goes on to say see you next week Bayley before leaving.